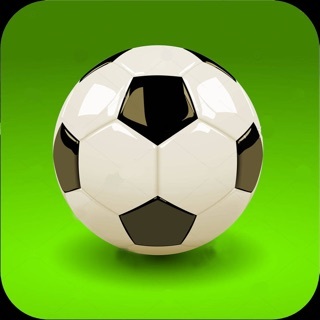 The WHERESTHEMATCH app is the biggest and most accurate TV Listings Guide for Live Football fixtures. You're days of searching the internet and multiple TV guides are over with our amazing scheduler! 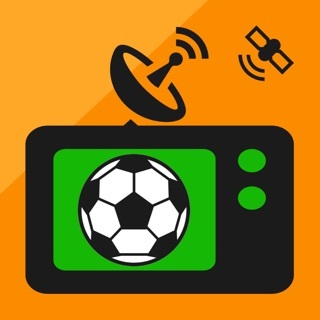 Our app gives you access to daily, live Football Schedules from all of the main broadcasters in the UK including Sky Sports (all 10 channels) , BT Sport (all 5 channels), BBC, ITV, ESPN, Eurosport, Premier Sports, Channel 5 and all other major UK TV Channels. Please REVIEW us if you like the app, we would appreciate your support! - English Premier League - all of the 20 clubs including TV schedules for Manchester United, Liverpool, Manchester City, Arsenal, Spurs and Chelsea. - The EFL Football League including Championship, League One & League Two. - UEFA Champions League & UEFA Europa League Football. - Scottish Football including Scottish Premiership and Scottish Cups including Celtic & Rangers. - FA Cup, Carabao Cup & EFL Trophy competitions. - International Football including England, Scotland, NI, ROI, Wales and other European Nations,UEFA Nations League and International Friendlies. - European Football from La Liga (including Barcelona & Real Madrid), Serie A, Bundesliga, Dutch Eredivisie, French Lique 1, Major League Soccer, Australian A League, Brazilian Campeonato, Portuguese Premiera and Welsh & Irish Premier League Football. - Browse daily match schedules with access to Dates, Kick-Off Times and TV Channels. - Choose your Favourite Sports, Football Teams, Competitions and TV Channels to refine your TV schedules to what’s important to you. - Add live matches to your Calendar and set reminders before the game kicks off. - Add live matches to your “You’re Watching” so you can arrange your TV viewing schedule. - Change your Timezone to check TV schedules wherever you are in the world. - Rotate the screen to Landscape to get all the TV Channels included on the main interface. Rugby League - Super League, Challenge Cup, NRL, Four Nations and RL World Cup. Cricket - County Championship, T20, One Day Cup, IPL, The Ashes, Cricket World Cup. Golf - US PGA and European Tours. All 4 majors live. Tennis - All Grand slam events and ATP Tour. Boxing - All Title fights. F1 - Every live race from the 2019 calendar. - Initial payment of £4.49 will be charged to your iTunes Account at confirmation of purchase. - Subscription automatically renews at £4.49 YEARLY unless auto-renew is turned off at least 24-hours before the end of the current period. - Account will be charged for renewal within 24-hours prior to the end of the current period and cost of renewal is £4.49. - Subscriptions may be managed and auto-renewal turned off easily by going to your iTunes Account Settings after purchase. - Some UX layout fixes for iPhone XS, XR, XS Max, XR Max. Excellent app: but is it necessary to pay twice for iPad and iPhone? I’m a cricket and football fan. I can tailor the app to just show these sports. In addition, I can set it to cover just those channels that I have (Sky and BT Sport) so I don’t have to look through broadcasts that I’m neither interested in or able to access. It’s reliable, current and programming for months ahead is shown. All in all a super app. I’m glad I found it. Ps. I would like it on my iPad as well as on iPhone. When I download it to iPad it asks for another £4.49. Can this be correct? Thanks for the review, we appreciate it! If you use your same Apple account on your ipad, you won't need a seperate subscription. Such a great app that makes it much easier to plan what sports to watch and when. Takes all the stress away from having to flick through all the channels. It is definitely worth paying for the app as the time you save is worth the small cost.